« network Women’s Holiday 2011 Look Book - Online Now! 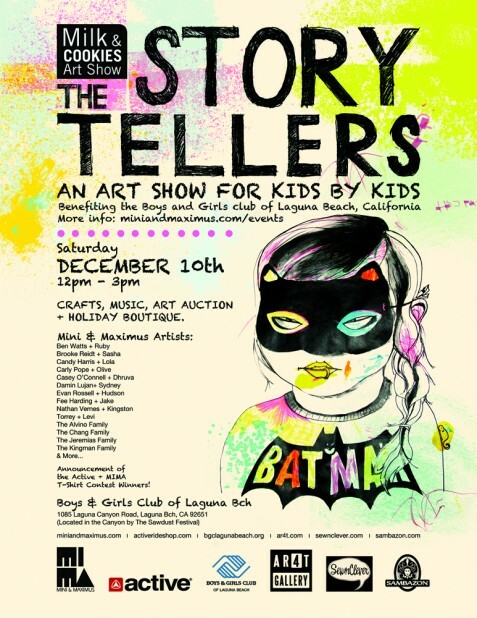 network Ride Shop, Mini & Maximus, and AR4T Gallery are partnering on a kids art show, Milk & Cookies: The Story Tellers, at the Boys & Girls Club of Laguna Beach on Saturday December 10th. Proceeds from the art auction will go to the Boys & Girls Club of Laguna Beach. We’ll have live music provided by an awesome band, Son of Heatwave, arts & crafts for the kids, live art, and of course, milk & cookies! Bring the whole family for a fun day before the holidays! 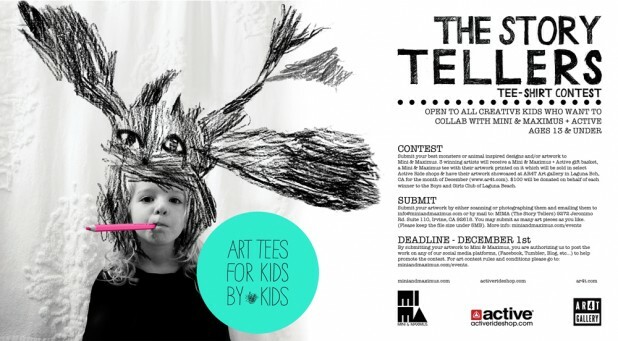 For kids ages 13 and under, submit your designs for The Story Tellers Tee-Shirt contest for your chance to have your artwork printed and sold in select Active Ride Shops. Plus, have it showcased at the AR4T Art Gallery in Laguna for the month of December! All designs need to be submitted to Mini & Maximus by December 1st. The This entry was posted It�s also the lightest and thinnest mens leather sandals that we tested by mophie. on Friday, November 11th, 2011 at 2:00 pm	and is filed under Columns, Events, The Stitch. You can follow any comments to this entry through the RSS 2.0 feed. You can leave a comment, or trackback from your own site.